Air fills, nitrox fills, trimix fills, pcp fills, air gun fills. At Atlantic Scuba we have a large air system, with a high output high pressure compressor. We have 16 filling whips, DIN or INT (A Clamp/Yoke), so can simultaneously fill 16 cylinders at once. We also have a gas booster and can offer nitrox and trimix mixes. We can offer out of hours fills for clubs and large groups at our normal filling prices. 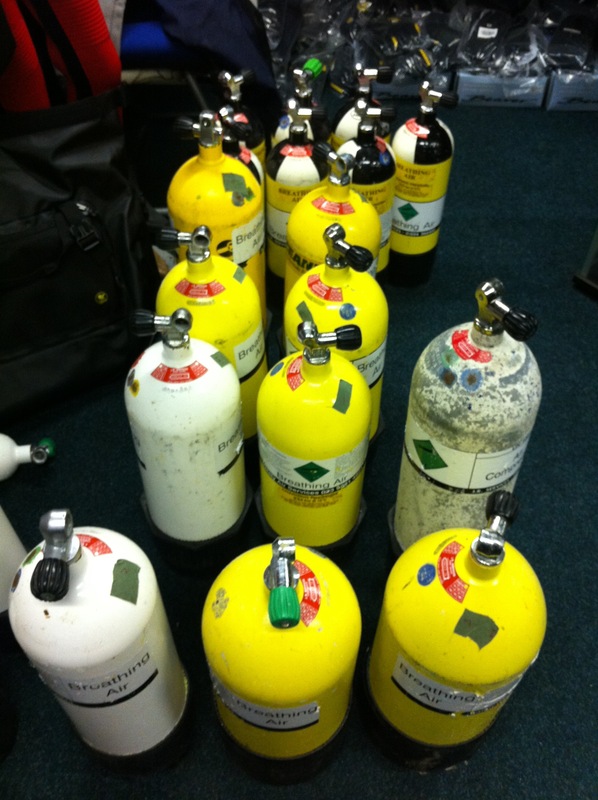 We quite often fill cylinders for several BSAC and other clubs on trips to Penzance, Hayle or St Ives. Gas fills for all around west Cornwall. So for Penzance air fills or Hayle air fills, contact Atlantic Scuba.